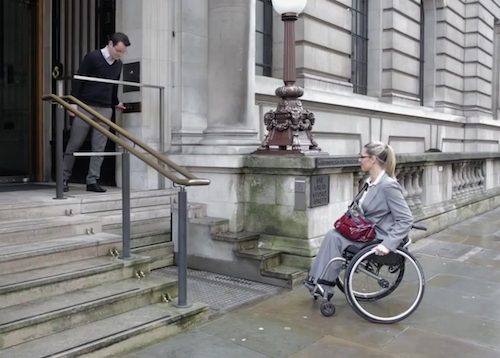 When a person has a disability and is confined to a wheelchair, life can be difficult for them. They may find that they are living in a world that is specifically geared toward those who are not in a wheelchair, but they’re expected to go about life as if everything works fine. The Americans with disabilities act (ADA) does step in to ensure that public locations in the United States are compliant and easily accessible by those who have a disability. The same is also true in many other parts of the country. When you consider the fact that there are over 2 million people in the United States who spend life in a wheelchair, it really does help to put things in perspective. Even a simple task, such as going into a public building, going grocery shopping or even taking your children to school can be difficult for someone who doesn’t have full mobility. Perhaps one of the most difficult things in life for them is a simple set of stairs. An organization called AllGood Trio, however, is determined to help those individuals to overcome a problem with stairs in the most amazing way. 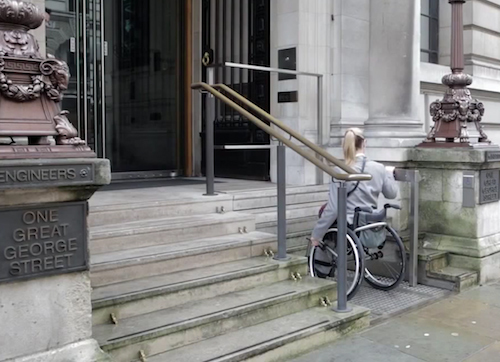 In many public buildings, ramps are installed to accommodate those who are unable to use stairs. You might be surprised, however, with how many different areas are not accessible to those who are in a wheelchair. 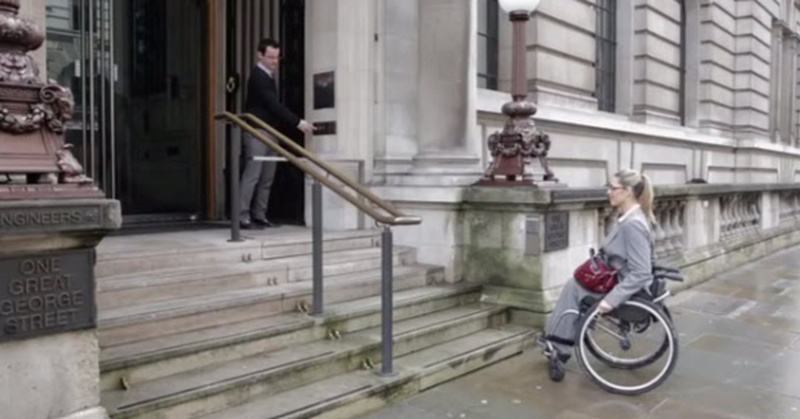 Thanks to these “Sesame Stairs,” is possible for people who are the wheelchair to use the same entrance as other people and it is totally easy to do so. It only takes a single push of a button and the stairs collapse to reveal a hydraulic platform. Sesame Stairs are technologically advanced and they are the answer that many people in wheelchairs have been looking for. You can see how this brilliant solution works in the following video. It is our hope that it catches on worldwide and makes the problem of accessibility less of an issue.